State College is the largest borough in beautiful Centre County, Pennsylvania. State College is a college town that surrounds Pennsylvania State University, or, Penn State. 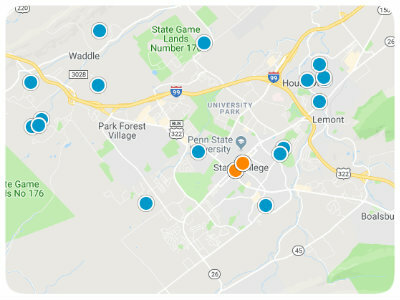 Thanks to the influx during the school year at the University Park Campus, State College is the third largest community in the state, and it has a populating of full-time residents of 50,000 people spanning just four-square miles. State College is a cherished and beautiful community with a long history; State College became incorporated in 1896 and has continued to flourish since. Residents living in State College have access to some of the best, trendiest dining and shopping experiences in the area. Those with an affinity for the arts or an appreciation for literature can visit the Central Pennsylvania Festival of the Arts when it is in town or one of the dozens of libraries. Athletes and family will enjoy Blue-White Football Weekend, The Penn State Golf Course, and the annual charity Danceathon. Holmes-Foster Park, Lederer Park, and Sunset Park are just some of the gorgeous green spaces where residents and students can take in the scenery, study, or people watch. 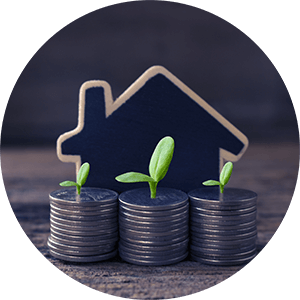 State College real estate in Pennsylvania provides future residents with an array of different styles and sizes from which to choose. Highrise condos for sale in State College are widely available in the area as well as single-family houses. Floor plans range from one- and two-bedroom condos with over 600 square feet of living space and houses spanning 2,000-5,000 square feet with as many as four bedrooms. 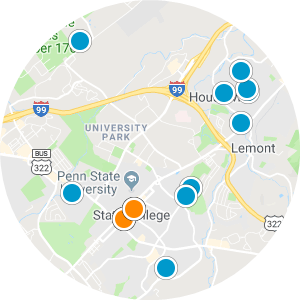 The proximity to not only Penn State but also other schools providing learning to kids of all ages makes living here a parent’s or student’s most convenient option. 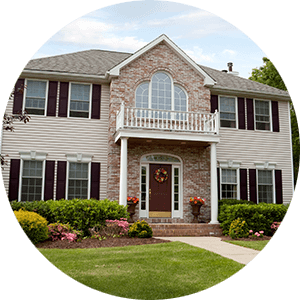 If you are interested in buying one of the homes for sale in State College, Pennsylvania, please contact us today.